Amazon Prime Music is available to play on Android and iOS mobile phone apps, Desktop app and web player, Amazon Fire TV sticks and Amazon Echo devices. Amazon has finally launched Amazon Music in India as a part of the Prime membership program. The service is available as a separate app on Android and iOS, as well as a web app. Over the past few months, Amazon has been announcing tie-ups with Indian music studios and the results are apparent on the app with the latest in Bollywood and Indian music, along with an extensive library ranging across several regional languages being available. Along with the features that we've come to expect from music streaming services, like curated playlists and offline playback, the Amazon Music app also has an Alexa section where you can use your voice to ask Alexa to play specific songs and playlists directly. 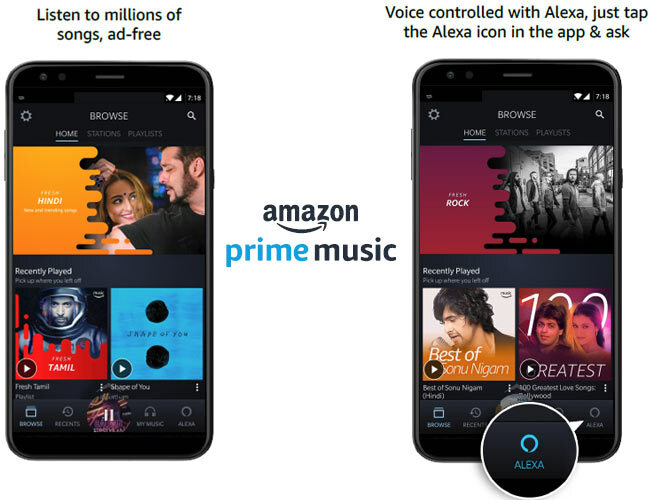 Amazon.in today announced the launch of Amazon Prime Music, an ad-free music streaming service - exclusively for Prime members - offering unlimited offline downloads*, voice controlled with Alexa at no additional cost to Prime membership. Amazon Prime Music includes tens of millions of songs across major International and Indian music labels in over 10 languages including English, Hindi, Tamil, Punjabi, Bengali, Kannada, Telugu and more. Amazon’s music experts have specially curated playlists and stations to give music listeners an uninterrupted music listening experience across genres, moods, artists, eras, and activities. Amazon Prime Music will be available on Android and iOS mobile phone apps, Desktop app and Web player, Amazon Fire TV sticks and Amazon Echo devices. For more information, visit this link. 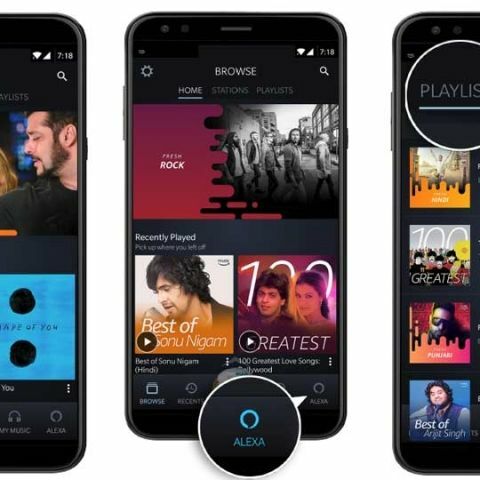 Commenting on the launch, Sahas Malhotra, Director, Amazon Music India said, “We believe music listeners are going to love Amazon Prime Music as we bring a global service that’s been truly localized in its selection and curation. With ad-free streaming at no additional cost to Prime members, Amazon Prime Music offers a welcome break from text and voice ads that come between you and your favourite music. Moreover, with voice controls the music listening experience cannot get any simpler, making music listening delightful, effortless and a natural experience for customers. Listening to your favourite music has never been more fun”. 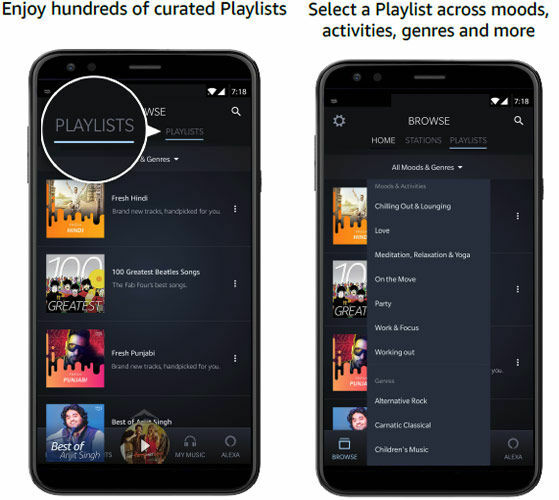 Curated Playlists and Stations: Amazon Prime Music’s Indian editorial experts have specially created Playlists and Stations to cater to customers music tastes across moods, activities, genres, eras, artists and more across multiple Indian languages. Discover what’s new on specially designed playlists like Fresh Hip-Hop, Fresh Punjabi, Fresh Tamil and more, be clued into chartbusters on the Hot Right Now series and rediscover genres with a tightly curated list of 100 Greatest songs, chosen across eras - from Bollywood to Sufi to 80s Pop and Slow Jams. Whether it’s a wedding or a road trip or you are on babysitting duties - there is a playlist waiting for you on Amazon Prime Music. "At Amazon, we continue to add value to our popular Prime program. With the launch of Amazon Prime Music, we now offer Prime members an easy, uninterrupted access to a world of music entertainment with their Prime membership. We think, Prime members will enjoy this latest addition with the many Prime benefits that already include unlimited streaming of movies and TV shows with Amazon Prime Video and unlimited free fast delivery on eligible items from India’s largest online selection of products, early access to top deals and more”, said Amit Agarwal, SVP and Country Head, Amazon India.